All in: Play your style combination cards right and be faced with the “problem” of hanging out with an attractive woman. MANILA, Philippines – We’ve seen the usual suspects at pretty much every high school, mall, gig and local gathering showcasing the best of what’s been done, and what isn’t exactly broken, so why fix it? Sure, it’s perfectly fine to fall into the categories and go about your merry way. You may be feeling like this year you need a little change or you just can’t seem to wear your old threads after your eye-opening trip to this one boutique store in a neighboring Asian country, in addition to the overwhelming influences from this website and that fashion blog hinting that this season completely contradicts the one that you so apprehensively “invested” in. So what to do when seasons change so quickly and you don’t want to be stuck with a wardrobe of played-out getups? Try crossing stereotypes eclectically to arrive at a new unique style persona at your own pace. With any fusion of styles, a lot of lines can blur and mix, so it would be wise to expect overlapping between the four crossovers below. A combination that will appeal to the general populace considering the recent trend of sportswear and at the same time serving up classic and unwavering styles such as varsity jackets, pique polos, and white sneakers — all go-tos for the jock. Adding this to the quirky, unique and retro appeal of indie gives a whole new dimension to the otherwise predictable style of jocks. Mixing a sport coat (indie staple) with a pique polo is oftentimes frowned upon sartorially, but considering how unpresuming a sports-oriented person can be towards fashion, the combination can work very well. 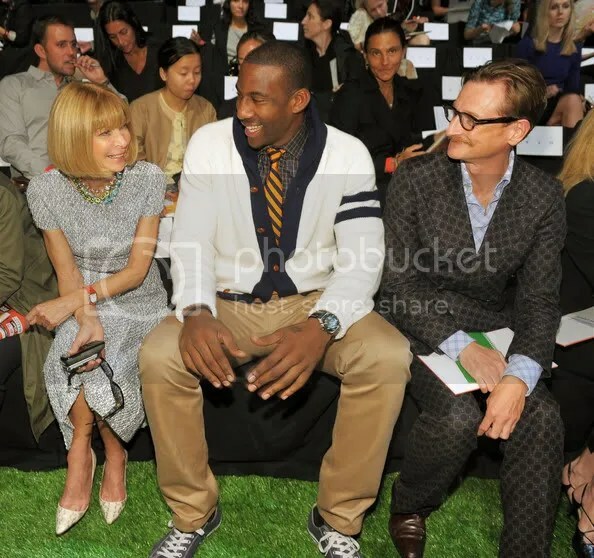 Industry-approved: Amare Stoudemire looking very collegiate at the front row of Tommy Hilfiger, with Anna Wintour and Hamish Bowles. Many times we see people wearing styles that we would often categorize as skater or streetwear. These are styles that fit in very well in the urban setting and lifestyle, mainly because they have a very utilitarian angle that isn’t too flashy and does not make you feel out of place or overdressed in most environments. It is appropriately fashioned after and by youth culture with a grown-up appeal that attracts the increasingly more discerning clientele. Combining this with an artistic approach to texture, color and composition can elevate this new class immensely. Tonal ranges and color combination mixed with the right denim combined with restyled classic workwear staples such as a denim shirt can make this a top choice to shop for and wear this year. Destination denim: A restyled workwear staple will immediately make you the envy of your friends. Available at Mossimo, Glorietta 4. A burgeoning breed that is already seen on many campuses. I am sure you’ve seen the oxford shirts, boat shoes, V-neck tennis sweaters, and one too many horn-rimmed glasses (with or without lenses, clear or of the UV-blocking variety) that people are sporting these days. No, they’re not going to a boat race on a lake, or a tennis match at the club. They’re more likely to be off pondering their existence and life cause over some bubble tea in their free time, catching an obscure (DJ) gig, going to an ironically-arranged hipster party, sparsely hanging out at The Collective, or taking some pictures for their friend’s start-up label look book. To pull off this look is pretty simple: think collegiate staples and your dad’s old shoes. Penny loafers may go a bit overboard, but if you’re bold enough, it can look very put-together. In an ironic, tongue-in-cheek way, of course. I believe that there’s a nerd in all of us. No matter how cool or “in” we pretend to be, there’s always this one interest that we like that is out of the ordinary, outdated, obscure or unpopular. Some popular interests can also be “nerdy” if focused on obsessively, such as films, television programs, comics, sci-fi and even sports (sports nerds are not to be confused with sporty nerds). One might presume that nerdy styles are similar to the preppy style, just not as well-coordinated. Still, I believe that there’s much use in this area for aesthetic ascension. Combine select sport-specific styles (such as tennis, or even baseball), mix in some surprisingly awkward checkered shirts with forethought, and diverting one’s attention to clothing detail to an obsessive level can help achieve a look that is grounded in origin yet forward enough for a second glance. 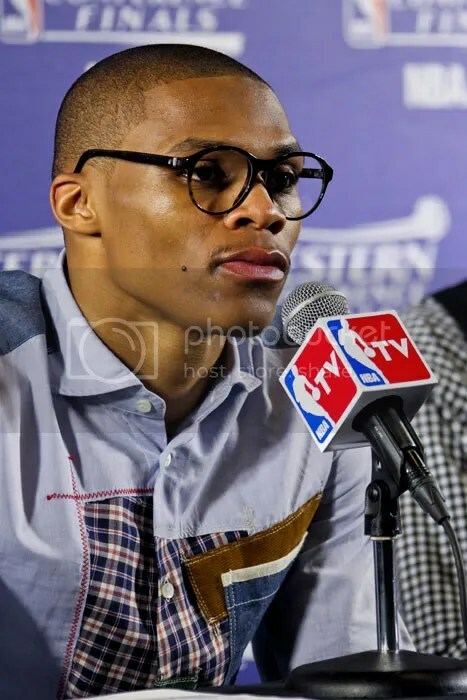 Turning Japanese: Basketball star Russel Westbrook dons the nerd specs, yet makes it look good. Available at Comme des Garcons, One Rockwell, Rockwell Complex, Makati City. These are only a few examples of cross-pollinating known stereotypes or styles of dressing, but these should help give you an idea of how mixing ideas and trying out new things — regardless of how far-out they may seem — can help you arrive at your unique style persona for the year. TDK Boombox finds a new home!